Use the links below to help you to select and reserve your campgrounds and make the most of your next RV vacation. This site willl help you to locate campsites in any Canadian province. The official reservation service for campgrounds in Canadian national parks. Locate campgrounds in Alberta's many national parks using this search engine. A list of British Columbia campgrounds. The official reservation system for campgrounds in BC parks. 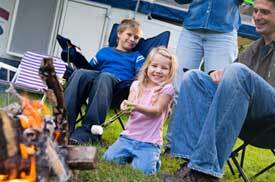 Find your Ontario campground using an interactive map. The official reservation system for campgrounds in Ontario parks. The largest search engine for finding campgrounds in Quebec. The official reservation system for campgrounds in Quebec parks.